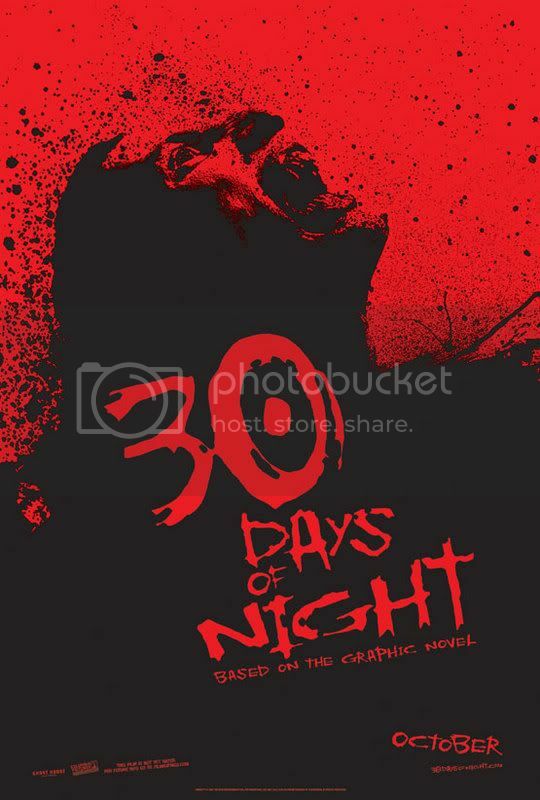 30 DAYS OF NIGHT teaser poster?! : Icons of Fright – Horror News | Horror Interviews | Horror Reviews & More! 30 DAYS OF NIGHT teaser poster?! One of this years films we can’t wait for is 30 DAYS OF NIGHT, the movie adaptation of the graphic novel by Steve Niles and Ben Templesmith, due out in October from director DAVID SLADE (HARD CANDY). Well, could this image below be the teaser poster?! Steve Niles just posted this on his My Space blog! Looks awesome!